Viewers of the Dropcom, TWiT’s mechanical eye in the sky, were greeted with an unusual sight on Saturday. What was first thought to be a spontaneous game of Ring Around the Rosy, turned out to be the often anonymous sales team holding hands and dancing around the studio. What caused the glee? Needs help keeping track of his money. Inside sources reveal that a milestone event was achieved. 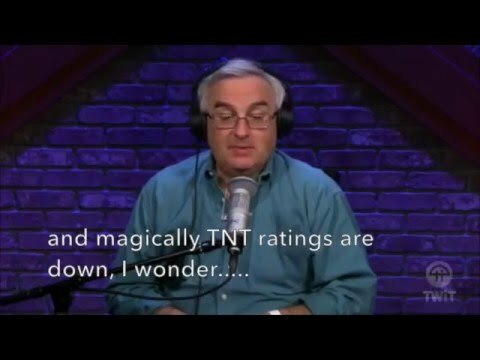 For the first time in nine months a viewer used the forgotten offer code TNT. The viewer known as Chickenhead was unavailable for comment, but TWiT founder and propaganda connoisseur had this to say, “I could not be happier with the job Gum is doing, he is knocking it out of the park.” Could this be a sign that the troubled network is poised for a comeback? Not likely.